This is a quick post.... I finally got my hands on the Benefit Advent Calendar . What is an advent calendar? It is the calendar used to calculate the day for Christmas. The exact day when the calendar starts is the date one month before Christmas (technically there were only 25 days in a month in those days). The astronomical ways to calculate the calendar is ancient and obsolete. These days it is predetermined that the advent calendar should start on 1st December and ends on 25th December where it falls on Christmas. To keep the excitement of counting down to Christmas, many brands take advantage of the advent calendar spirit for commercial purposes. I am really excited to pop the calendar but to keep the rules, I will open each window daily starting from 1st December until Christmas. Follow me on Instagram to see what I receive daily. 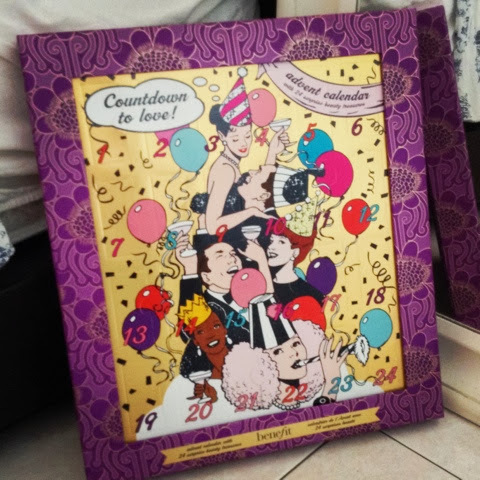 My username is @queenjerine with hashtag #benefitadventcalendar. So excited to reveal all these Benefit goodies!